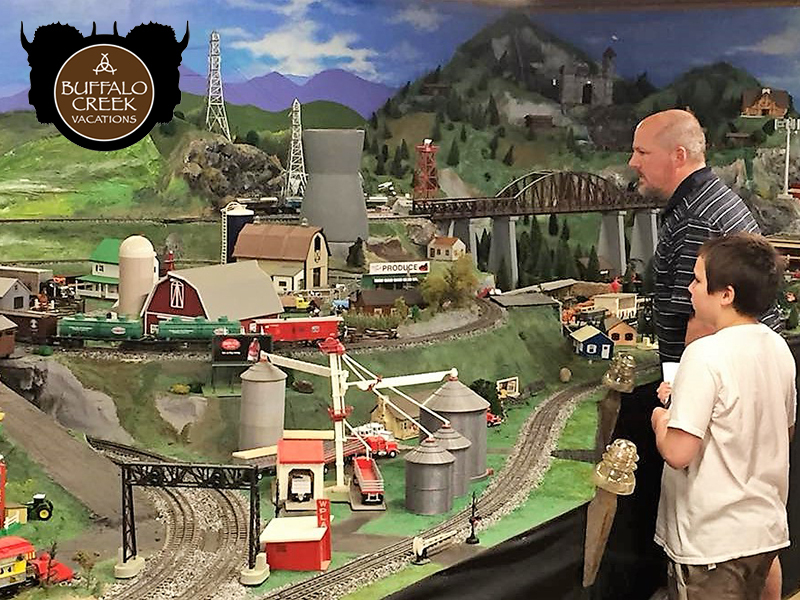 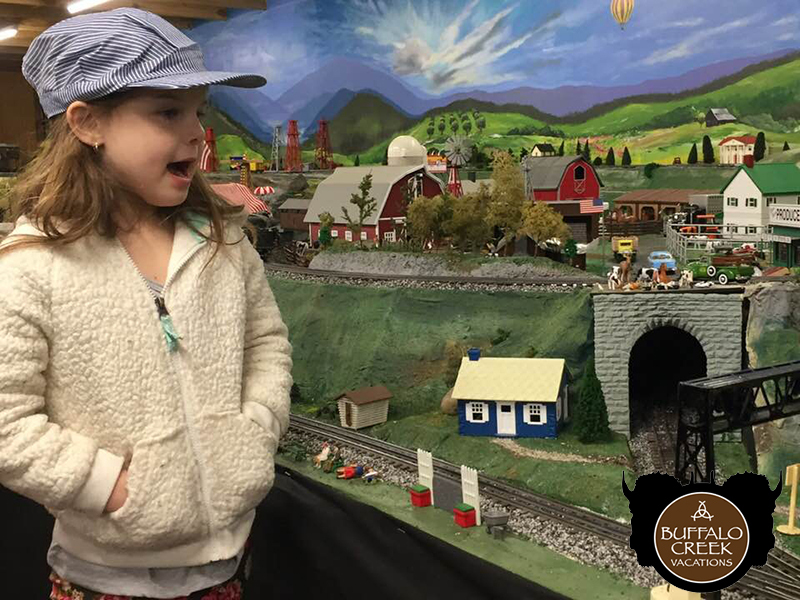 Located on the 2nd floor of the BC Depot, Agapeland Station, in partnership w/ Smoky Mountain Model Railroaders. 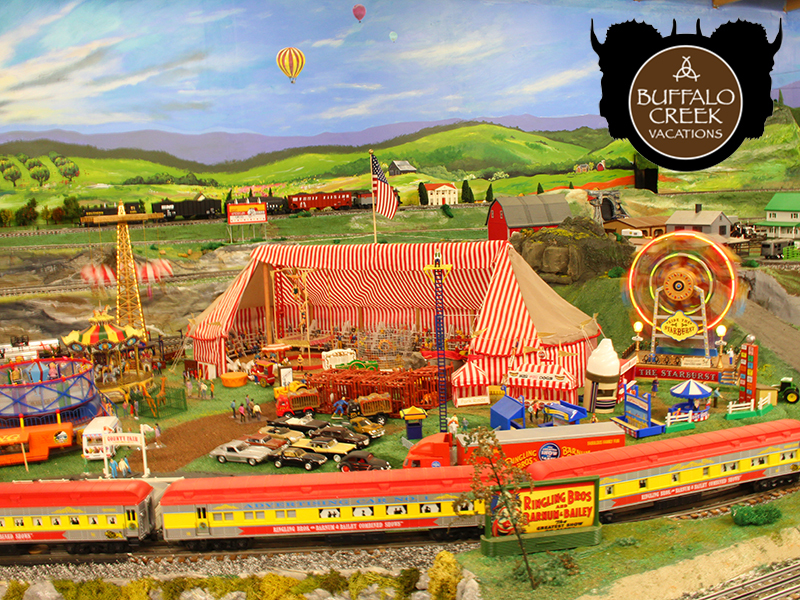 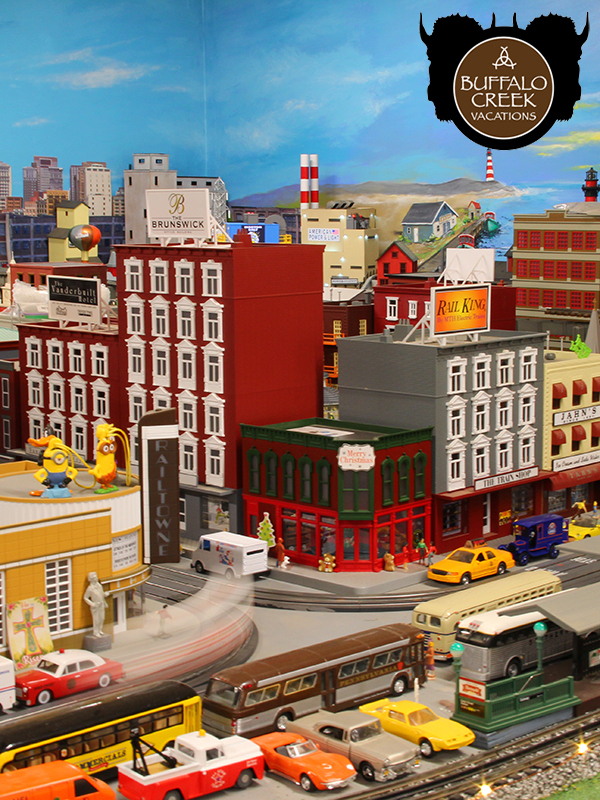 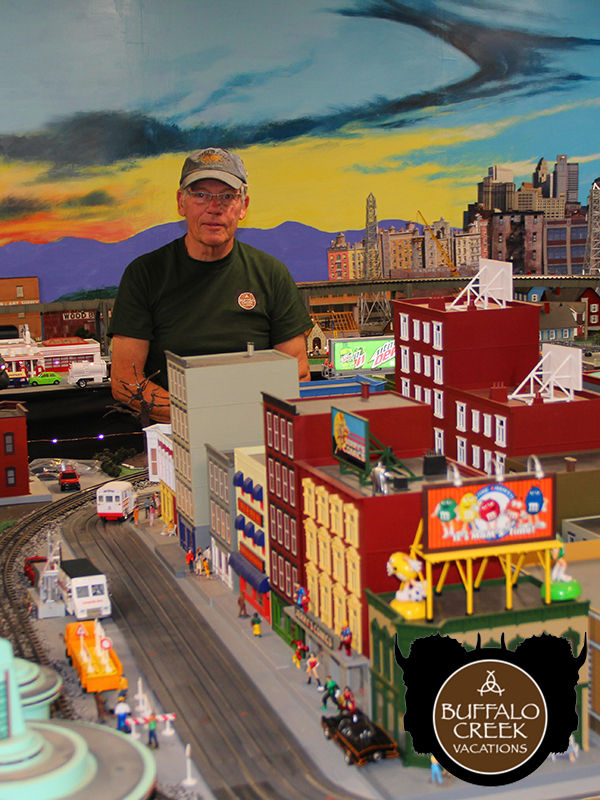 Features a 30x50 model train layout which depicts how the railroad serviced America. 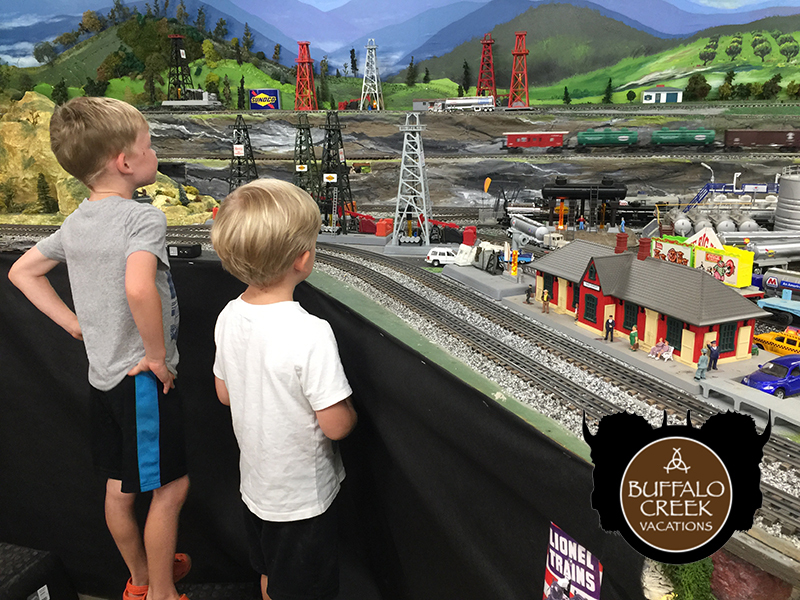 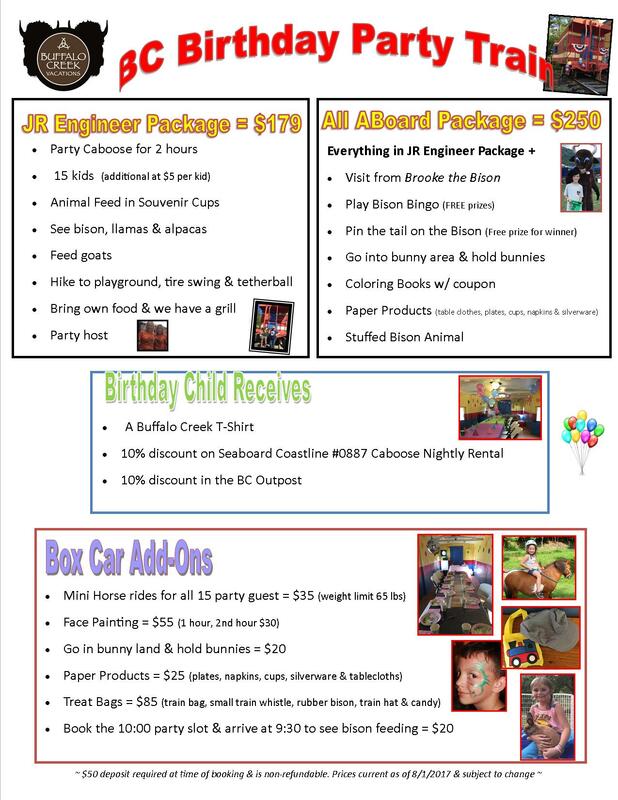 Inspired by Western NC’s lush mountains, streams & farmlands….even a mini version of ‘Buffalo Creek Vacations’! 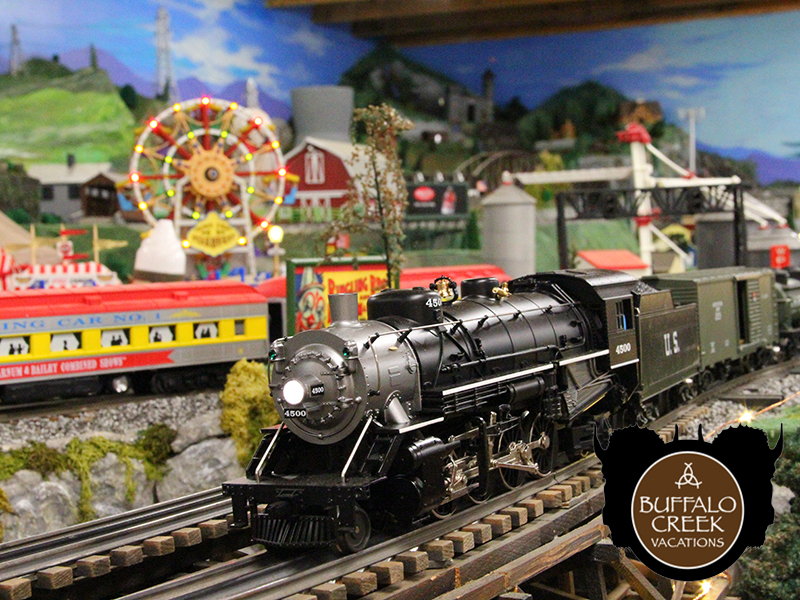 We operate the ‘Lionel-type”, 3 rail O-gauge trains from pre-WW2 to modern locomotive & equipment. 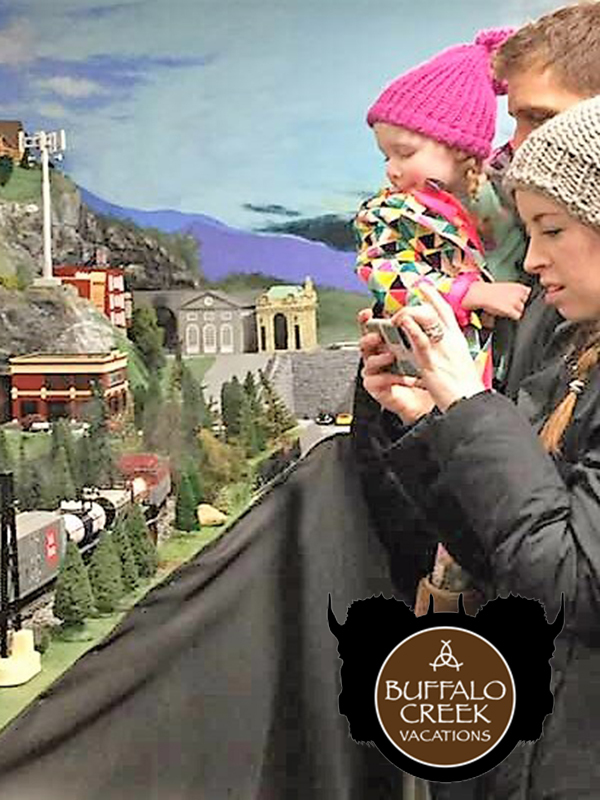 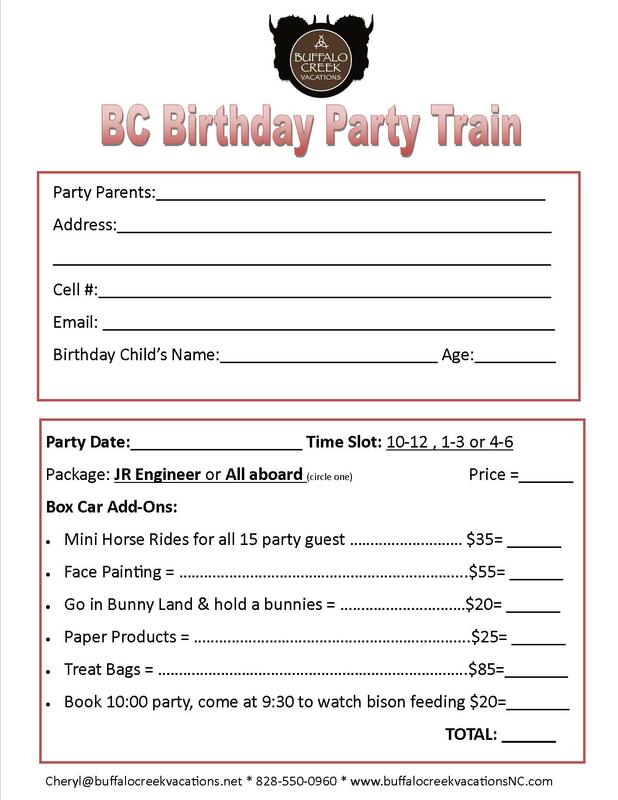 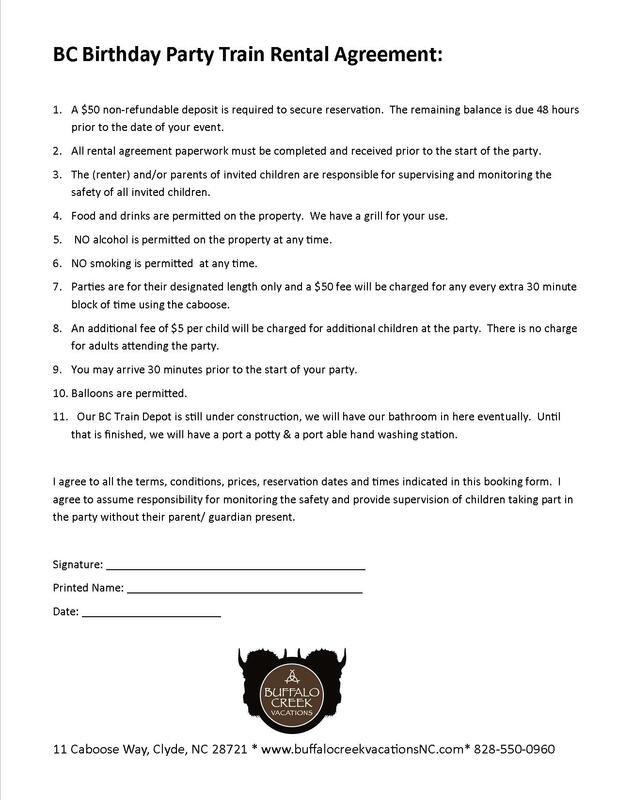 * Children must be supervised at all times while viewing the model trains.